Product/service pages are some of the most trafficked pages on your website. Additionally, using great product/service videos in the sales process can radically improve trust and revenue. 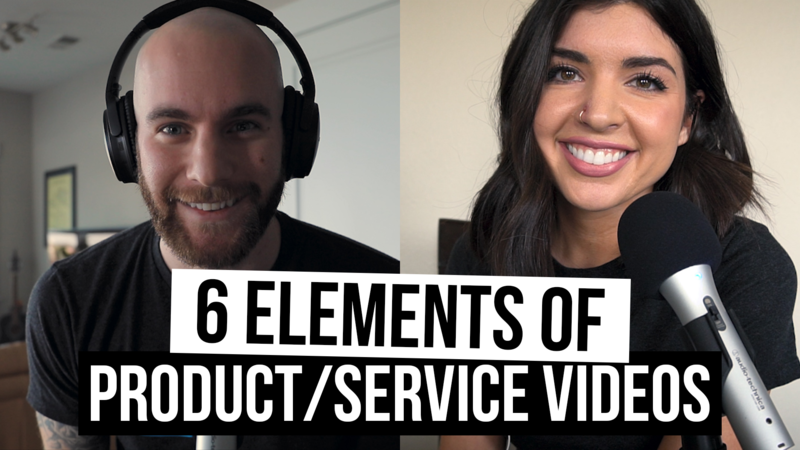 In this episode of Film School for Marketers, Myriah and I discuss the six most important elements of product/service videos and how to cover them. Want to learn how to insource your video production, what kind of videos you should be making, and a framework to do so? "Make Better Videos In-House: How to Create Consistent Video Production." Now, onto how to make GREAT product/service videos! What is a Product/Service Video? No, we're not talking about advertising product/service videos like Dollar Shave Club. Great product/service videos aren't salesy. They must be helpful videos that describe your offering properly and educate your consumer better than anyone. They can be used on product/service pages as well as before or during your sales process. What Should a Typical Product/Service Video Include? Don't assume that the consumer knows your stuff as well as you do. We've got to be good at describing things with such clarity that your viewer could clearly articulate your offering to someone else. For a product, this might include technical specs, software versions, product dimensions, and other similar descriptors. For services, this might include deliverables, duration of engagement, or time ranges. 2. Who's it a good/not good fit for? Who is this product/service made for? Certainly, it's been created to solve a challenge or provide a solution. The question is, for whom? Likewise, it's likely not a good fit to solve someones challenge. It's okay to say that. In fact, it's encouraged. 3. Why do I need it? Without this particular solution, what challenges may continue to present themselves? Are there things the consumer might not be taking into account when assessing your offering? This is your chance to clearly present your value. So, make it count. Surely, this is your favorite, right? We all must get good at discussing cost/price about our products/services. To be clear, you don't have to say the price. In fact, "it depends" may be the best answer you could give. No matter how you approach the subject though, it must be addressed. 5. When should I buy it? There has to be a moment when the time is right. "Now" isn't acceptable. As a consumer, don't you wish someone would have told you that you were OR were not purchasing a solution at the right time? 6. How do I buy it? This one is simple, but an incredible opportunity to be helpful. What is the buying process typically like? How long does it take? How do I get started? Once again, don't assume that the viewer is either familiar or comfortable with your sales process. & Inbound Marketing Strategist Nick Sal, this podcast explores a unique theme or concern each week that’s plaguing growth leaders. Each week, host Kathleen Booth interviews inbound marketers on the front lines with one goal: to “peel back the onion” and learn what works, what doesn’t and what you need to do to really move the needle. If you're looking to stay up to date with all the latest and greatest HubSpot tools, tips, and tricks then you’ve come to the right place. Your hosts from IMPACT are ready to help you take your business to new heights of inbound marketing awesomeness! 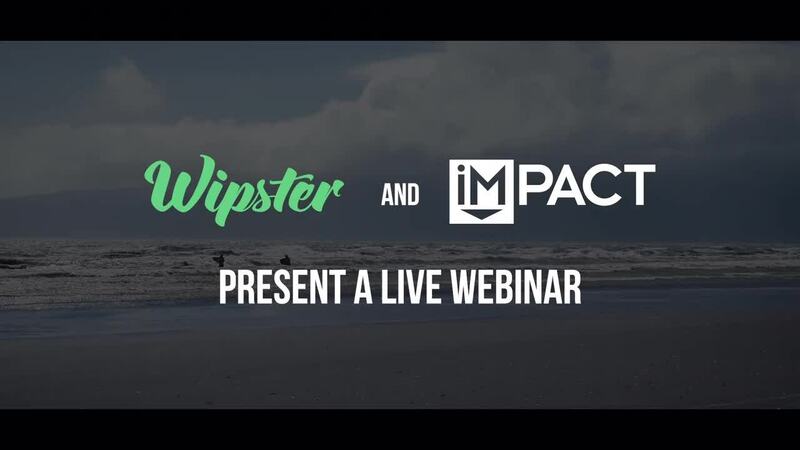 Join IMPACT Director of Web & Interactive Content Liz Murphy each week for shenanigans, candid conversations with fellow content nerds and industry experts, and the inside scoop on the tools and tactics that will transform you into a content rockstar. First, subscribe to our Film School For Marketers Podcast. Second, leave us a review or share the love with fellow marketers and sales professionals who could benefit from our content. Lastly, have a question or idea for a future episode? Let us know!